When allowed to turn freely, the metaphoric Palestinian compass points in one direction — that of Palestinian struggle. But most of the time, someone is interfering with this compass, rigging it to other directions, as in the case of the continually failing peace process. Now, with much of the Arab world up in arms against its autocratic rulers, the Palestinian compass is given another nudge, also in the wrong direction. The Palestinian public is seething, and yet Palestine Liberation Organisation (PLO) officials are telling us that the only way forward is through more negotiations. The “peace process,” we’re told, is the only thing worth saving from the current sea of Arab discontent. It’s all topsy-turvy in the land of discontent. 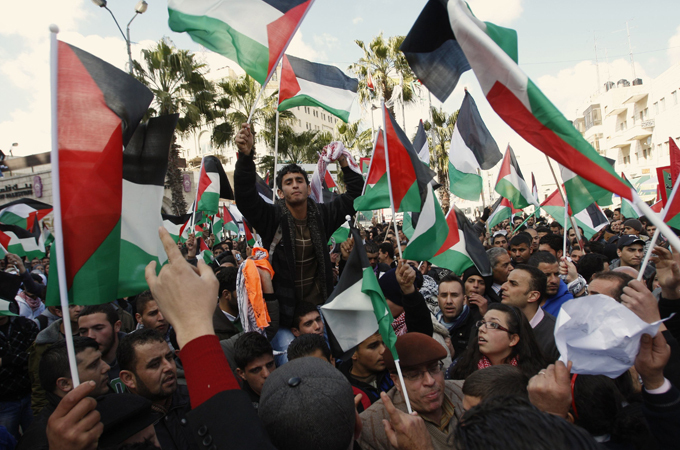 A Day of Dignity has been called to presumably restore unity in Palestinian ranks. Most likely it will lead to further disunity. Allow me to elaborate. The Day of Dignity, held on 11 February, was not meant to end occupation but to terminate Gaza’s spirit of civil defiance. “Say no to division and occupation and yes to national unity,” is the slogan another group of organisers chose for planned protests on 15 March. On that day, the PLO plans to call for new presidential, legislative, and local elections in the hope of regaining enough credibility to pursue its favourite goal, that of negotiating for peace. The organisers tell us that they want a Palestinian state by next September. How many times have we heard this before? WAFA, the PLO-run news agency, is trying to give the impression that this is the only path available to the nation. We’re either going to negotiate for peace, or we’ll protest and then negotiate for peace. If there is a point to this argument, I don’t see it. Does anyone remember why the current split in Palestinian ranks happened? It all started when PLO officials, the endemic believers in peace, refused to honour the outcome of democratic elections held in 2006. So much of current dilemma is due to the simple inability of the PLO to reconcile peace with democracy. So far, we’ve had a peace process that wasn’t so much about ending the conflict as it was about managing it. The kind of negotiations we’ve been having, as Rashid Khalidi, the prominent Columbia University professor said, were never about self-determination or about ending the occupation, but about allowing Israel to impose its point of view, with US blessing every step of the way. This has been the case since the Madrid Conference of 1991. The only practical use of the peace process was to allow Israel time to build more settlements, with US approval. A US veto only a few days ago, on 18 February, should put to rest any lingering doubts in this regard. But American officials are still conducting “quiet” talks with both sides, as Dennis Ross told the 2011 J Street Conference. Abbas thinks this is the only way forward, but some Israelis are not so sure. Uri Avnery, long-time peace activist and founder of the peace movement Gush Shalom (the Peace Bloc), says that the Palestinians have other options. “What would happen if hundreds of thousands of Palestinians started walking to the Separation Wall and pulled it down? What would happen if a quarter of a million Palestinian refugees in Lebanon gather on our northern borders? What would happen if protesters gathered in numbers at Al-Manara Square in Ramallah and Al-Baladiya Square in Nablus to challenge the occupation?” he asked. The Israeli peace activist is not saying that this may happen today or tomorrow. But, judging by the way things are going, it cannot be ruled out. This is perhaps why Obama’s chief Middle East advisor Dennis Ross admitted that the current situation was “untenable”. And yet PLO negotiators are helping the Israelis prolong the situation, by giving the false impression that something will happen when everyone else knows that things are going to stay the same. The PLO seems to be holding out for the day when the US, or the EU, put their foot down and broker a fair peace. It’s not going to happen. Meanwhile, the PLO continues to suppress the only two forces capable of turning things around: national resistance and a citizen-led Intifada. The PLO is blocking any chance of forward movement while giving everyone the impression that it is doing something for the people. All it is doing is to help the Israelis perpetuate a basically untenable situation. On 2 March, the newspaper Haaretz reported that Prime Minister Binyamin Netanyahu was working on a plan for establishing a Palestinian state with temporary borders as part of interim peace arrangements. We’ve heard it all before. The Netanyahu plan is nothing new. It is a reproduction of earlier plans, all aiming to give the Palestinians a reduced version of the West Bank. Former defence minister, Shaul Mofaz, who is now chairman of the Knesset Foreign Affairs and Defence Committee, came up with a similar idea that would have given the Palestinians back about half of the West Bank. An earlier version of the Netanyahu strategy was tried by Labour when Ehud Barak was prime minister. Barak, unable to complete a promised three-phase withdrawal from the West Bank, dragged PLO negotiators to a summit in Camp David in 2000 and then made sure that the summit would lead to nothing. Kadima tried the same thing when Ariel Sharon was prime minister. Arafat snubbed him and was subjected to a cruel siege that ended in his death. Were Abbas to snub Netanyahu, he may face a similar fate. 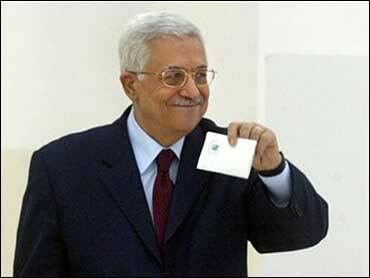 But Abbas doesn’t seem too eager to take a stand. Arafat stood firm, even when he ran out of options. He told his people the truth. He told them that he cannot give up their rights, froze the PLO’s participation in the talks, and told the Palestinians that they would have to live and die for their rights. “Millions of martyrs will go to Jerusalem,” were his famous last words. You cannot have a national unity government without having credibility. The most Abbas and Prime Minister Fayyad have so far proposed is a government of technocrats. How can technocrats resolve an issue that is so political at heart? Reconciliation is a political quest, and the concessions it requires are not “technocratic” in nature. The PLO cannot partner with Hamas before reconciliation is achieved, Fatah Central Committee member Jamal Moheisen told Gulf News on 28 February. This makes a lot of sense, but reconciliation comes at a price. And so far I don’t believe that the PLO is willing to pay that price. The way I see it, the PLO cares more for peace talks than it does for national unity. You cannot have negotiations without resistance, just as you cannot have democracy without fighting for it. We’ve always known that, and we have the Intifada to prove it. We cannot be united until we’re willing to struggle against occupation together. And we cannot be democratic until we’ve learned how to share. So far, the PLO is neither sharing nor struggling, and its quest for peace is therefore doomed. 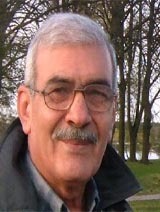 The writer is a veteran Arab journalist based in Birzeit in the West Bank of the Israeli-occupied Palestinian Territories. This article was translated from Arabic and published by Al-Ahram Weekly on 10-16 March 2011. We have yet to be free as a people but have diverged from the path to liberty. This social contract is the basis of a new popular movement towards our liberation. The Palestinian people and their struggle are now confronted by a disastrous situation. We are divided. Our priorities are confused, and our agenda for liberation is unclear. We have consequently fallen short of achieving our freedom. We lack justice and have yet to practice our inalienable right of self-determination. The Palestinian people shall begin to build a realistic vision for their future based on a new Palestinian Social Contract. Our social contract shall be based on the inalienable rights to liberty, justice, self-determination, and the pursuit of happiness. This contract shall ensure freedom, human dignity and justice. Equality, clarity, transparency, democracy and full societal participation in the struggle shall be the guiding principles for this contract. The Palestinian citizens’ cause, concerns and aspirations cannot be reduced, in anyway, to one third of the Palestinians who are in the West Bank and the Gaza Strip. Therefore, the required Social Contract represents all the Palestinians. It addresses their rights within a formula that observes what is common among all Palestinians and recognizes the differences among the diverse components of our society. This statement balances between the daily concerns of the Palestinian people and their aspirations. It also suggests realistic alternatives to the current status quo that results in a state of division, weakness, economic crises and the marginalization of the majority of the Palestinian people. We pose three necessary changes to the status quo that express our vision for the Palestinian people. – Rebuild the PLO as the sole representative of the Palestinian people and maintain its independence. This requires re-structuring its institutions and ensuring that it is away from the Israeli occupation control. – Reformulate the Palestinian National Charter in accordance with the new Social Contract, in a manner that ensures the supremacy of freedom, justice and equality that light the path for our movement towards liberation, democracy and self-determination. – Re-building of the PLO requires, first and foremost, election of a Palestinian National Council (PNC) representing all Palestinians (inside and outside the homeland). Preparations for the elections shall ensure full democracy. – Pursuant to the PNC elections, the PLO Executive Committee shall be formed in a manner representing political forces, independent personalities and representative institutions with a special focus on ending the factional quota tradition. – Full separation between the PLO institutions, tasks and persons and the institutions of the administrative bodies responsible for maintaining the day to day life of Palestinian people in the occupied Palestinian territories (OPT). – End the existing status quo and begin building mechanisms that ensure the broadest democratic representation of the Palestinian people. – Ensure that the newly formulated PLO is the sole responsible party for the political track of the Palestinian cause before the Palestinian people. Consequently, the Palestinian Authority, as an institution or personalities, does not politically represent the Palestinian people and does not identify mechanisms of our struggle and resistance. – Struggle against the occupation and its injustices using all internationally legitimate and ethical means. Any strategies for the struggle shall be decided upon through national consensus (achieved within the PLO) and strategically formulated according to the challenges the Palestinian cause is facing to ensure that the most practical tactics are being used. – Ensure that our inalienable rights are non-negotiable. Main principle: The Palestinian people shall struggle against the Israeli occupation using all morally legitimate means of resistance until they are free and establish a just society with full equality. – The Palestinian people, through the PLO, shall identify the strategies of the struggle. – We shall increase the momentum of nonviolent popular resistance, using the media, international law, strikes, boycotts, divestment and sanctions and shall seek international support for our struggle. – We shall support the steadfastness our people on their land, especially in Jerusalem, areas threatened with eviction such as the Jordan Valley and areas in the Negev desert, and near the Apartheid barrier. – We shall form popular committees to confront occupation’s measures and create daily realities to protect innocent people, their private properties and land. – We shall launch international campaigns to combat the occupation and its racist separation. We shall use international law to assist us in ascertaining our rights and coordination with international organizations that support values such as human rights, freedom, and equality. – We shall struggle against the Israel’s racist measures against our people inside the Green Line, support them and provide political and legal protection for their demands and struggle. Main principle: The Palestinian administration in the Occupied Palestinian Territories is the civil entity mandated by the PLO to manage the Palestinian affairs. Hence, it does not have the authority to represent all Palestinians. It is not a political entity or authority. – The PLO forms a representative council for the Palestinians in the OPT responsible for management of their life affairs. – The representative council is the realistic alternative of the Palestinian Legislative Council and the Presidential institution in the OPT. – An administrator shall be elected from the representative council. He/She shall nominate the heads of the differnet administrative directorates, which shall work according to a platform set up and approved by the representative council to ensure the fulfillment of the people’s day-to-day demands in the OPT. – The representative council shall be constituted of experts and not politicians whose tasks are confined in taking care of administrative and legislative demands pertinent to people’s day-to-day lives. This will reduce factional competition and enhance the role of the elected representative council. – All security apparatuses will be integrated within one police service that maintains public safety and the rule of law in the OPT. – The police apparatus shall be fully separated from and independent of the political factions. – Weapons shall be used for legal reasons only such as maintaining the people’s safety and defending them from mortal harm. – Political factions do not have the right to individually select their resistance strategies. – The police apparatus will be restructured based on new laws that shall govern its duties. – Full transparency shall be restored. Corrupt institutes and individuals shall be tried and the stolen funds returned to their rightful owners and the Palestinian people. – Banning any political platform from inciting to violence. – The youth and academic experts shall formulate a document to end Palestinian disunity in a manner that is beneficial for the Palestinian cause. – Any delay in ending the division after this document is presented shall be borne by the present leaderships. – A court shall be formed from independent persons guaranteed by the PLO to decide on all the division implications at the individual and collective levels. The court’s decisions are binding to all. – WE SHALL STRUGGLE FOR FREEDOM, SIDE BY SIDE, THROUGHOUT OUR LIVES, UNTIL WE HAVE WON OUR LIBERTY. In the US and the West, we are able and free to debate God and HIS/HER existence, debate Jesus, Moses, Mohamed, debate America, its failures and its successes, debate our constitution and its interpretations. We are free to debate George Bush and his stupidity, his crimes against America and the world, and his many failures. We are free to debate anything and everything except Zionism, Israel and Judaism. In Palestine and the Arab world, we are allowed to discuss few things but one thing no one dares to discuss is the PLO, its illegitimacy and its failures. Israel committed war crimes for over 20 days in Gaza, killing and murdering in cold blood women and children, destroying homes, schools, social centers, UN facilities, mosques and hospitals yet, no one in the US and the West dare to say anything let alone criticize Israel, its racist and criminal practices, as we have seen in the BBC’s refusal to air calls for aid to Gaza and in the attack on Paul Simon and CBC for its airing of the recent special of why a two state solution is not possible any more. Mahmoud Abbas, whose presidential term finished and expired a couple of weeks ago and who lost any and all legitimacy as president of Palestine and the Palestinian Authority stood up yesterday in Cairo and declared that under no circumstances will there be any dialogue with those who (Hamas) questions the legitimacy of the Palestine Liberation Organization. I am sure all Palestinians and the Arab world, with the exception of the very few Palestinians who are on the payroll of the PLO know well that the PLO lost any and all of whatever legitimacy it had to begin with 20 years ago. What remains now of the PLO is nothing more than perhaps a couple of dozen “parasites” around Mahmoud Abbas, direct beneficiaries of his financial generosity. I am sure if the payroll stops they will drop the PLO as hot potatoes. To begin with, the PLO was never elected, voted or chosen by the Palestinian people, rather the PLO was chosen by the Arab League, which itself is of questionable legitimacy with many Arab leaders coming to power by tanks but not by the ballots and have no legitimacy whatsoever. As at no time did the Palestinian people in an open debate, forums, votes or ballots ever vote for and selected the PLO as “the sole and only representative of the Palestinian people”. An organization like the Arab League with questionable legitimacy cannot vote on or select an organization for and on behalf of the Palestinians people. The Arab League never had a mandate to represent the people of Palestine let alone select its representative, never. Even in its heyday, the PLO was never legitimate since its officers and members were not elected by the people, but through a process similar in so many ways to the old Communist Party of the old Soviet Union, where the party on its own, without ever going back to the people, chose its general members and this general membership elected a slate of candidates that the leadership put forward. The same is true of the PLO. Arafat as a party leader funded and organized unions such as teachers, artists, social scientists, engineers, students, etc to be part of the “party” and put forward the slate of leadership to head and represent these “unions” and in turn these selected leaders voted the same (Arafat) leadership that voted them in. Thus the Palestine National Council, which is the “elected” people’s congress, was never elected through open election: rather its members where selected by Arafat and his gangs and where voted in. Faulty process to the core. Thus the Palestine National Congress never truly represented the people and Arafat and his gangs were never voted in by the Palestinian people inside or outside Palestine. That is why there was never ever an open and serious debate on issues of concern to the people such as the occupation, liberation, building institutions, representing the people of the Diaspora, let alone the many fatal and criminal decisions taken by Arafat and the PLO leadership. There was never a debate on what happened in Jordan in 1970, never a debate on what happened in Lebanon, never a debate on what happened in Tel-Zaater and Sabra and Shatila, never a debate on what happened to cause of the forced exiles of 350,000 from Kuwait, never a debate let alone filing criminal and civil charges against all those who committed war crimes against the Palestinian people. Equally troublesome is the lack of debate or call for accountability of the tens of billions of the people’s money that simply disappeared during the tenures of Arafat, Qurai and Abbas. Tens of billions of the people’s money stolen by the very same leadership that is supposed to be the people’s trustees of their money and future. As such the Palestine National Council was nothing more than a ‘yes’ congress for the leadership so similar to the party congress of the Soviet Union, a bunch of ‘yes’ people who serve the wills of their masters, the leadership. It was the late Arafat and his partners Abbas and Qurai who, once they signed the Oslo agreement recognizing Israel and its occupations, and becoming its agents and administrators, simply discarded the PLO as no entity. The Palestinian Trio of Arafat, Abbas and Qurai, turned the PLO into a “shell” organization putting a number of loyal cadres on the payroll just to keep the PLO under “oxygen”. The Palestinian Authority became the legal and financial partner of the Jewish Occupation. Arafat and Abbas simply put the PLO in a cold freezer, to use only when needed and to serve the purpose of the Jewish Occupation. Under Oslo, Israel recognized the PLO as “the representative of the Palestinian people” and the only one authorized to sign and execute a “peace agreement” with Israel. Thus Mahmoud Abbas’s insistence on the PLO and its role in the “peace process”. Without Abbas’s PLO, Israel could not consolidate its occupation, could not settle the issue of the refugees, could not keep the Jewish settlements and could not have a financial and security partner. Abbas’s insistence on the legitimacy of the PLO has nothing to do with ending the Jewish Occupation, has nothing to do with the Apartheid Wall, has nothing to do with ending the Jewish settlements, has nothing to do with return of refugees, has nothing to do with Jerusalem, has nothing to do with Jewish war crimes, has nothing to do with the 11,000 hostages held by Israel, certainly it has nothing to do with the siege of Gaza, with the war on Gaza and the Jewish war crimes committed in Gaza. It has everything to do with his the PLO legal obligations under Oslo to deliver Palestine and the Palestinian people under occupation and in the Diaspora to Israel. Without the PLO Israel could not reach a “peace agreement” that makes Israel a controlling partner of all Occupied Palestine of ‘67 including Jerusalem. As for Israel and the lack of debate, we all know what happened to anyone and everyone who dares to say or speak out. They end up on the side streets of Washington, Berlin, Paris and London, politically finished and ruined. A deadly bullet waits all those who dare to speak out. The same is true in Palestine and the Arab world. The rebuilding of Gaza has become the latest siege weapon. 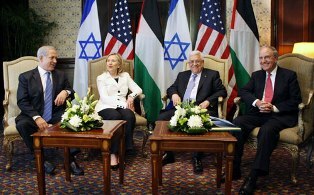 The Israeli occupation, the US that had backed its offensive, and the EU which did nothing to stop it are conspiring to turn the reconstruction process into a means to produce a suitable “peace partner” while the Arab summit in Kuwait hopes to use it to bring about Palestinian reconciliation. Meanwhile, the Palestinian Authority (PA) government is urging all parties and others to look to it as the sole channel for administering the construction process on the grounds that it is the government formed by the Palestine Liberation Organisation that is recognised as the sole legitimate representative of the Palestinian people. Soon we will see that freezing reconstruction will become the tool of all those parties for extracting from the resistance what they have been unable to gain from three weeks of warfare and the long blockade that preceded it. Israel, the occupying power, is determined to keep a tight grip on the reconstruction process, which is why it sustained its closure of the border crossing following its “unilateral” ceasefire. Indeed, this is why it declared the ceasefire unilaterally: it did not want to be bound by any agreement — the Egyptian initiative or any other framework — that would oblige it to lift the embargo, if only partially, in order to facilitate reconstruction. Tel Aviv has also been seeking to obtain “guarantees” from international agencies such as UNWRA. On 19 January Reuters reported that Western diplomats revealed that Israel had asked the UN and other agencies to submit itemised lists of the goods, equipment and staff that they intend to send into Gaza, whether for urgent relief or for the more long-term reconstruction process. According to these sources, Israel plans to keep close tabs on these processes by insisting that the various agencies obtain its approval in advance for every project. One of the conditions for that approval will be that the project will not benefit Hamas or its government in Gaza. Prime Minister Ehud Olmert has appointed Social Affairs Minister Isaac Herzog as coordinator of the Gaza reconstruction drive. The US not only fully supports Israel on this; it is open about using the reconstruction process to help the PA reassert its authority and influence in Gaza. The EU is equally frank in its approval. EU External Relations Commissioner Ferrero-Waldner made clear that the EU would not contribute to reconstruction unless Gaza produced a viable peace partner and that it would not make aid available to a government led by Hamas. A high-level European diplomat was reported by Reuters as saying that this was “a recipe for failure”. “Let’s be realistic. If the PA is going to be responsible, its leadership and institutions have to exist on the ground. Right now none of that does,” he said. It is patently clear that to Tel Aviv, Washington and Brussels the assertion of PA rule over Gaza is the strongest argument for holding off reconstruction as a Damocles sword over Gaza, and for the occupying power this condition is its strongest “guarantee” for sustaining its grip on that sword. The fear now is that Israel and the international powers that have helped it to perpetuate its occupation since 1967 will use a Palestinian façade buttressed by official Arab support to stage a repeat in Gaza of the Iraq experience in the wake of the 1991 war when reconstruction and development were perpetually deferred in order to further weaken the country preparatory to toppling the regime through the invasion that took place in 2003. It may or may not be a coincidence that the Israeli invasion of Gaza ended almost on the same date that the war against Iraq started 18 years ago. Nor does it bode well for the aftermath of a “regime change” scenario in Gaza that Iraq’s infrastructure today, six days after the Saddam regime was toppled, is worse than it was beforehand. The attempt to engineer such a scenario can be seen in PA President Mahmoud Abbas’s appeal to the Arab summit last week to channel the reconstruction process through the PA and its institutions, an appeal echoed by World Bank President Robert Zoellick who met with Abbas on the fringes of the summit in Kuwait. UN Secretary-General Ban Ki-Moon and other Western leaders had proposed creating a temporary international committee to oversee the funding and organisation of the reconstruction effort. However, Abbas and his supporters rejected such a mechanism on the grounds that “it presumes that the separation between Gaza and the West Bank will continue,” as acting PA Prime Minister Salam Fayyad put it, adding that international donors who are eager to reconstruct Gaza “will risk deepening the Palestinian division by ignoring the role of the PA”. The PA’s stance, if followed, would condemn Arab pledges made in Kuwait — as well as any pledges made in a possible international conference on the reconstruction of Gaza called for by Egypt, the PA and the EU president — to remain pending until such time as a “viable peace partner” secures a steady seat in Gaza. Although the participants at the Kuwaiti summit stressed the need for the reconstruction of Gaza in principle, they failed to reach an agreement over the mechanism. Differences between leaders obstructed a proposal to create a reconstruction fund and the most participants managed to agree upon was to make reconstruction contingent upon Palestinian reconciliation, a task they designated to Arab foreign ministers without setting a date or place for a ministerial meeting for this purpose, leaving us with the question as to when and how Arab ministers are to succeed where their heads of state failed. Of course this procrastination through delegating makes the pledge to reconstruct Gaza barely worth the paper it was written on and will probably consign it to the same oblivion fated for so many other Arab summit resolutions. One of those forgotten resolutions was that adopted by the emergency Arab summit in Cairo in October 2000 calling for the creation of an Al-Aqsa and Jerusalem Fund for the purpose of reconstructing Palestinian infrastructure, especially in the sectors of healthcare, education, agriculture and housing. Apparently Arab leaders in Kuwait did not wish to recall that that resolution did not restrict the distribution of funds through the channel of the PA but also provided for other channels such as UNWRA, the Egyptian and Qatari Red Crescents, the Jordanian Royal Philanthropic Organisation, the UN Arab Gulf Programme and other such regional and international humanitarian agencies. Perhaps, too, they did not want to remind anyone that when that earlier resolution was passed there was no “Hamas problem” behind which are hiding those who do not really want to reconstruct the occupied territories, whether in Gaza or in the West Bank. The underlying reason why the Al-Aqsa and Jerusalem Fund was not adopted by the Kuwaiti summit as a mechanism for the reconstruction of Gaza is that the urgent humanitarian mission has been politicised whereas it should remain above the political fray between Palestinians, Arabs, foreign powers and everyone else whose voices are loud enough to drown out the appeals of those in need. There is nothing to debate about humanitarian relief. The Israeli offensive destroyed all the civil infrastructure of the government in Gaza on the grounds that it served as bases for Hamas whereas in fact it was PA infrastructure paid for by taxpayers in donor countries. Whole residential quarters were flattened, totally destroying 4,000 homes and severely damaging around 16,000 more. There are now some 100,000 civilians in urgent need of shelter, temporarily accommodated in some 12 refuges opened by UNWRA in schools that were also targeted by Israeli guns and therefore need to be repaired as well. In addition, agricultural land ruined by bombardment has to be reclaimed, potable water needs to be supplied to half a million Palestinians, electricity has to be restored to about the same number of people, and about 80 per cent of the inhabitants of Gaza are in urgent need of food relief (these are all UN estimates). Any political argument for postponing such urgent aid is morally outrageous. 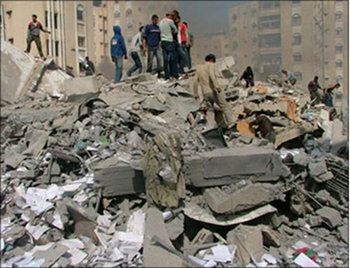 The Israeli list of “prohibited materials” even before its offensive includes such items as iron, steel and cement, which are now absolutely vital to reconstruction. UN Commissioner for Humanitarian Affairs John Holmes pointed out this self-evident truth in a statement last Tuesday saying that if Israel refuses to allow in construction materials reconstruction cannot begin. It is equally obvious that to adopt the PA as the sole channel for reconstruction financing is to effectively allow the occupying power, which destroyed Gaza, to supervise reconstruction. It is hardly possible to expect the PA, which is at Israel’s every beck and call, to independently and effectively manage the reconstruction process by remote control from Ramallah, let alone release funding for projects without Israel’s prior approval. Remember that President Abbas, himself, pleaded the difficulty of obtaining an Israeli exit permit on short notice as the reason he did not appear at the Doha summit on Gaza, according to Qatari Prime Minister and Minister for Foreign Affairs Sheikh Hamed Ben Jasem Al Thani. Also, only two months ago, Abbas’s government in Ramallah could not disburse salaries to some 70,000 PA government employees who are believed paid to stay home because of the internal Palestinian rift. If, as acting Prime Minister Fayyad repeats on every occasion, the PA is unable to deliver the budgetary allocation to Gaza, which is about half of its total budget, how can that government be relied upon to deliver the funds that have been pledged — or will be pledged — for reconstruction? Kuwait, for one, acted correctly when instead of waiting for the Arab summit to reach an agreement it donated $34 million directly to UNRWA. Similarly, Norway donated 20 million kroner to organisations capable of reaching civilians directly in Gaza, such as the International Red Cross. Such noble examples confirm the existence of practical, serious channels for meeting urgent humanitarian needs. These should not be made pawn to the demand for the arrival of a Palestinian “peace partner” to Gaza, contrary to the insistence of PA Foreign Minister Riyad Al-Maliki in Kuwait that everything had to be coordinated with the PA “in all fields” before beginning the relief and reconstruction process. If that demand is met, nothing could be more guaranteed to subject the reconstruction process to the whims of the occupying power and turn it into another way to besiege Gaza in order to bring it to its knees. * The writer is a veteran Arab journalist based in Bir Zeit on the West Bank of the Israeli-occupied Palestinian territories. This article was translated from Arabic and published by Al-Ahram Weekly, Issue No. 932, 29 January – 4 February 2009.